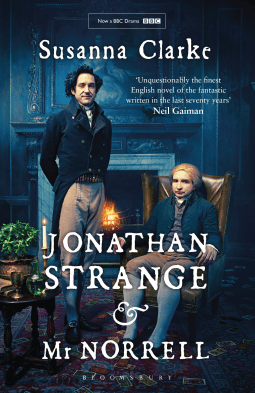 Originally published eleven years ago, Susanna Clarke’s debut novel, Jonathan Strange & Mr Norrell has now been adapted into a much-anticipated television series, currently airing on BBC One in the United Kingdom. I first read this amazing book probably close to ten years ago and I remember loving it at the time. I was keen to re-read before the series made it to Australia (sadly there’s no date available for that just yet!). At the time of the war against Napoleon in France, Mr Norrell is (to his knowledge) the only practical magician in Great Britain. He forces the magical scholars – who are not actually able to do magic – to disband their societies, and acquires as many of the magic books in England that he can get his hands on. There is another magician, though. Jonathan Strange finds that he is quite a capable practical magician, and he travels to London to aid and learn from Mr Norrell. After a time in Spain aiding the war effort, Mr Strange starts to resent Mr Norrell’s stranglehold over magic in England. The first thing that struck me on the re-read was the size of the book – just over a thousand pages. The language used is that of classic novels – Jane Austen or perhaps Dickens. The length and the language combined make this book a bit tricky to get into, but once the magic begins, it’s easy to be enchanted by it. Fairies, reanimated corpses, ships made of rain and conjured highways are just the beginning. The magic of this world seems to have no source, no rules and no limits. The pace isn’t fast, so if you’re after action and adventure then you might like to look elsewhere. This is a book to be savored slowly, with the witty observations and characterizations delighting me on every page. I wasn’t quite in the mood for a slow story at this re-read though, so I’ve struggled with getting through it, which has been frustrating me. One additional thing that bothered me this time with reading an electronic version, is that this book contains a lot of footnotes. I mean, a lot of them, usually explaining some interesting or funny historical point or note about the characters themselves. In print, they appear at the bottom of the page. On my kindle-format version, they are all over the place, and really break the story up. Just a little annoyance. 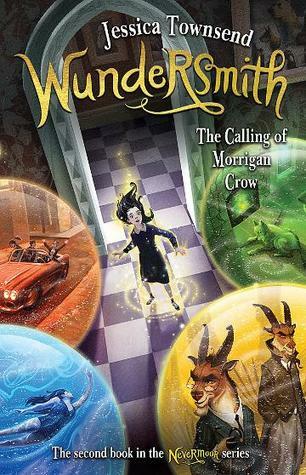 If you can get past the pacing and the length of the book, then you are sure to be delighted with this story of gentlemanly magic. If it all sounds too much, then I’d say make sure you watch the TV series when it’s on in your country! I hope it comes to Australia soon – I can’t wait to meet all these amazing characters in person. – I love the magic and the world of nineteenth century London, but the pacing is just so slow that I had trouble getting through it on this re-read. The TV series should be awesome though!